In OS X Lion, Apple introduced Gatekeeper, which prevented unsigned code from running on a Mac without explicit user approval. During the period between announcement and release, the typical barrage of thought-pieces and angry Tweets were published — most tended towards a cautious optimism that Apple had left users and developers enough headroom. Users could bypass all of the protections with a single click, while Developers could still choose to distribute software, signed or not, through whatever channel they chose. 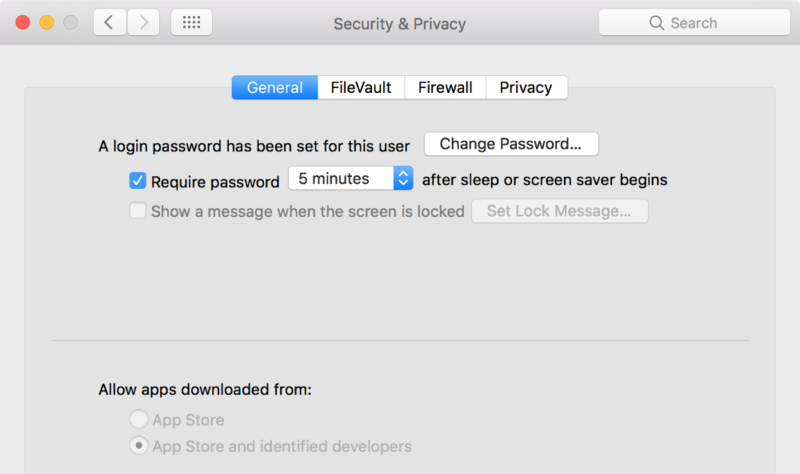 Last week, Apple quietly tightened up the default security settings. Previously, anybody could set their Mac to allow any software to run, regardless of how 'trusted' it was by Gatekeeper. With macOS Sierra's release later this year, the option to allow all software will disappear. The previously-worrisome 'locking down' of the Mac arrived — but in the years since 2012, Gatekeeper has fallen out of view. The increasing availability of Developer ID signing certificates has made the gatekeepgate (catchy, I know) a moot point.